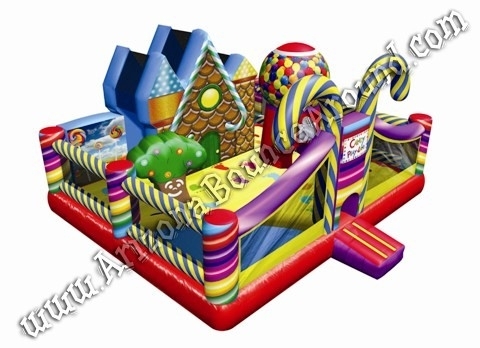 Our giant candy land bounce house has a gingerbread house, gum ball machine & candy canes inside. 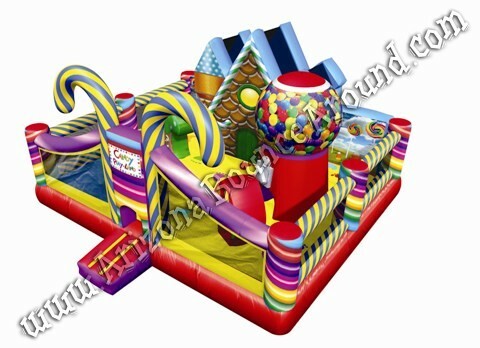 Our Candyland playland is a huge candy store themed bounce house with obstacles and a small slide inside. 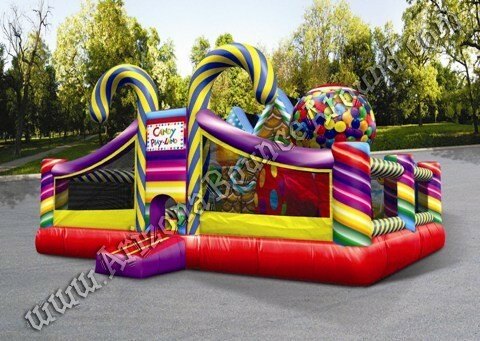 It features artwork inside and out like candy canes, a gingerbread house, gumball machine, decorated trees and candy art panels so rent one today and be like a kid in a candy store.